OpenStack is the most popular private cloud platform available in the market today and Red Hat Enterprise Linux OpenStack Platform is a secure, stable and enterprise-ready offering of OpenStack from Red Hat that has been co-engineered with the OpenStack foundation for performance and hence is one of the most preferred platforms for many enterprises. With most companies looking at adopting OpenStack to tap its benefits, one of the top challenges they face is the lack of OpenStack professionals. Hence, OpenStack skills are in demand more than before. It is recommended to take up the Red Hat OpenStack Administration (CL210) training which prepares a candidate with the required exam objectives along with a comprehensive review on the lines of the exam. 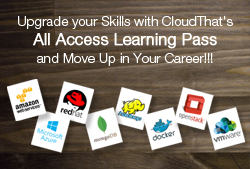 CloudThat provides this official course and details about the course, registration etc. can be found here. The regular fees for the EX210 – Red Hat Certified System Administrator in Red Hat OpenStack exam is Rs. 15,000 + 14.5% tax, however for a limited time we are offering it at a discounted fee of Rs.12,000 + 14.5% tax when registering for the training and certification together with us. For audiences looking to directly take up only the certification exam with us, please contact us. Many people struggle to figure out how to register for the OpenStack EX210 exam. Simply fill out the form below and we will get back to you help you with registering for the exam. 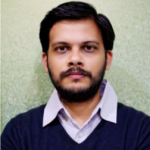 Alternatively you can also contact Karthik at (+91) 07022833179 or karthik@cloudthat.in. I want a brief descriptions of this. Red Hat does not mandate a training for appearing in the exam. You can directly register for the exam and take it at our center. If you have any further queries you can reach me at sangram@cloudthat.in.